And they’re off! 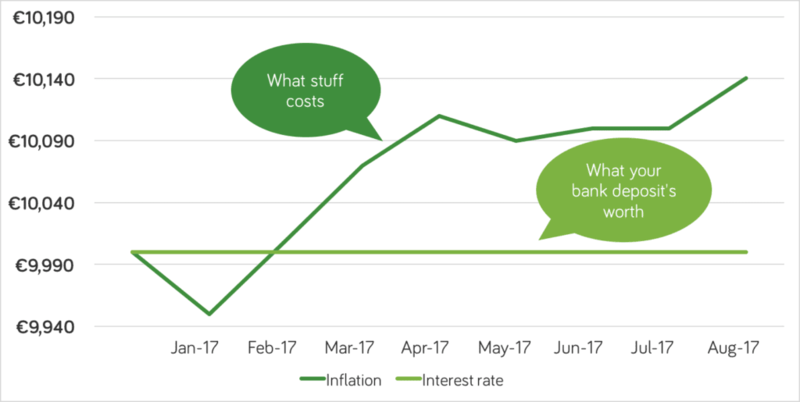 After taking a break for the summer sales in June and July, the negative impact of inflation on your bank savings started to look obvious again in August. Prices were up 0.4% by comparison with last year. If you have a lump sum on deposit, inflation means that even as you’re reading this, the value of your bank savings is draining away. The amount a Euro will buy is just a little less than last month, based on August inflation numbers from the Central Statistics Office (CSO). And with most banks paying near-zilch in interest, your bank savings can’t keep up. Rent levels continued their unstoppable march, helping push up housing costs 3.2% compared to a year ago. And the CSO found the cost of booze helped push up restaurant and hotel prices 2.6% compared to August 2016. Communications costs are up 2.3% in a year. That’s almost entirely due to the massive rises in postage costs, up a whopping 19.5%. If you haven’t already stopped using the post, you might consider it now. Well, you could spend your days chasing the best available rates (Bonkers.ie tracks them closely). The best paying account is with Leeds Building Society. Unfortunately it can only be opened by post… and the cost of the stamps these days will likely erode a big chunk of the interest! 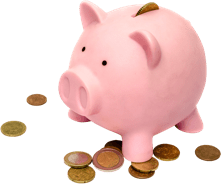 Many people now recognise that bank savings accounts are not the way to grow, or even maintain, the value of your money. On the other hand, investment funds aim to make an above-inflation return over the medium term, so offer a better possibility to maintain and grow your wealth, after taking account of inflation. True, you’ll need to give your money some time to grow, and to recover from any short-term fluctuations in value. But investing these days is easier, faster, and better value than ever before. Businesses like Moneycube can help you. You can access your money at any point, and choose the right risk and reward level to suit your needs. With August inflation eating up your lump sum bank deposit, now is a great time to consider putting your money to work in an investment fund with Moneycube.